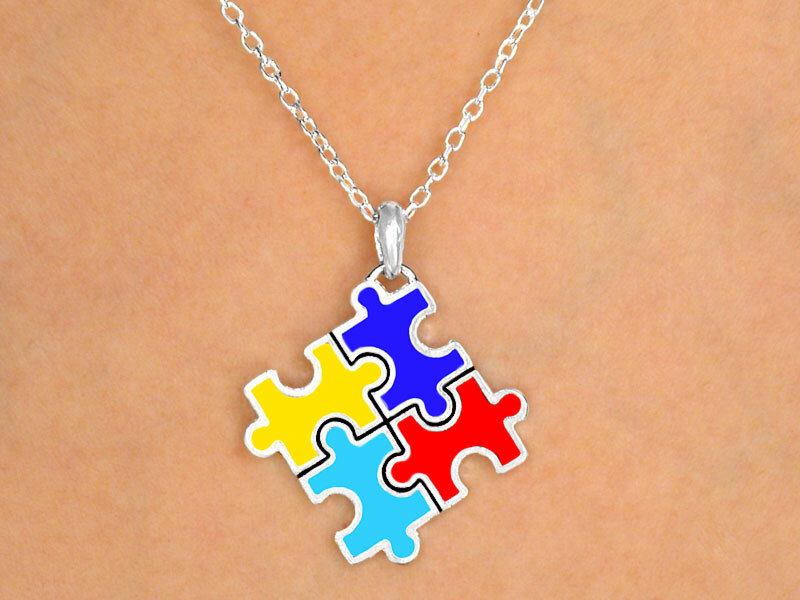 W9743N - "PUZZLE PIECE BLOCK"
Necklace Measures 16" Long, Plus 3" Extender. Great For Fundraisers, Gifts For Donors, Or Just To Show Support! A Portion Of The Profits Of The Sale Of This Necklace Will Be Donated To The Autism Society Of America!